A genus of toxic herbaceous Eurasian plants of the scrophulaceae which yield cardiotonic digitalis glycosides, useful anti-arrhythmia agents. 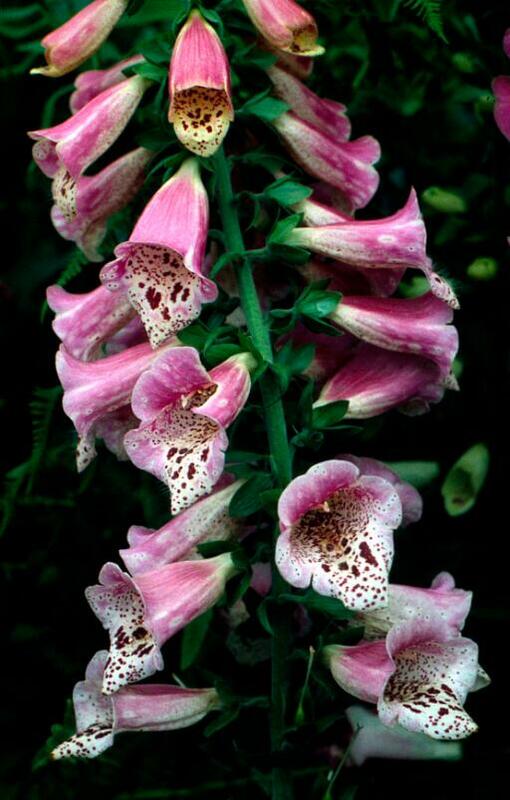 Foxglove tea, prepared from the leaves, was an English folk remedy for treating swollen hands, legs, and feet. William Withering (1741-1799), a physician working in Birmingham, learned about it from a country woman in Shropshire and recognised that it increased the flow of urine, reduced dropsy (excess body fluid), and had a powerful action on the heart.The most useful species are Digitalis lanata and D. purpurea. As N0021531C. Close-up of flower heads, for detail.